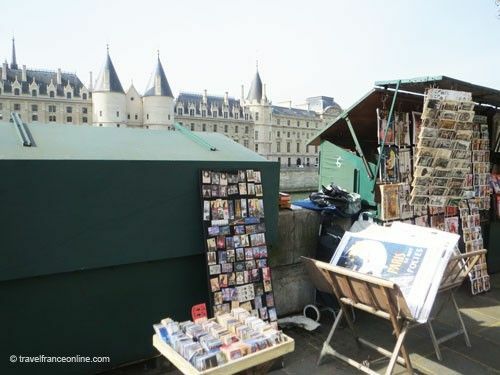 Bouquinistes are Paris' secondhand booksellers installed on the pavement along the Seine, in the vicinity of Notre-Dame Cathedral. The origin of the trade only goes back to the mid 15th century. 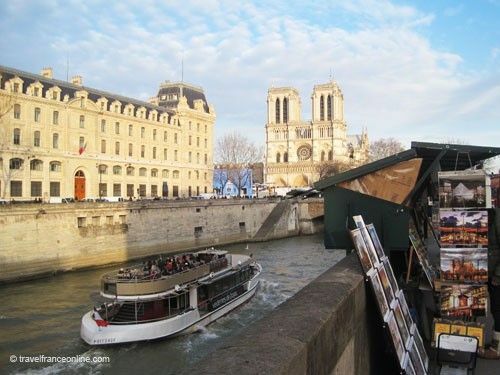 According to common belief, a boat transporting books sunk in the vicinity of the cathedral. The crew swam ashore taking with them as many books as they could and sold them to the passers-by in order to make up for their lost wages. They certainly found the sale profitable enough as they started a trade that is still very active today. A new trade, however, needed a new name! As Book derives from the German Buch, and as these self-proclaimed booksellers sold small and old bashed books or bouquins, they logically became known as bouquinistes! Of course, none of the high-minded society of the time would have dared buying any of these low value books! The instant success of the trade had a lot to do with timing, as it coincided with the invention of printing in 1450. The political and religious events of the following three centuries largely contributed to its development. 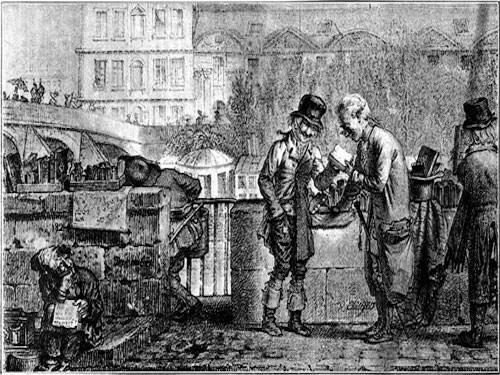 The bouquinistes were indeed able to discreetly sell pamphlets that targeted the government and the church. At that time they had no fixed selling point; they used wheelbarrows in order to transport and sell their books and pamphlets. They were therefore able to hastily pack and flee when they saw a policeman approaching! Their stalls even became a place of rallying, where common people and students could air their frustration and anger. The bouquinistes became the insubordinate of the country and remained under scrutiny! A trade that thrived at the French Revolution! They circulated more pamphlets in the year that led to the French Revolution. Sadly, the second-hand book trade really took off when mansions and castles became national property. Indeed, the myriad of books that once filled the libraries of the rich and powerful found their way to the bouquinistes' barrows! One of the positive consequences of this surplus of books, though, was that common people could then afford them! The bouquinistes played another major role during WWII; they indeed helped the French Resistance to transmit coded messages in the books' pages. The Germans were reduced to 'look for a needle in a haystack'! 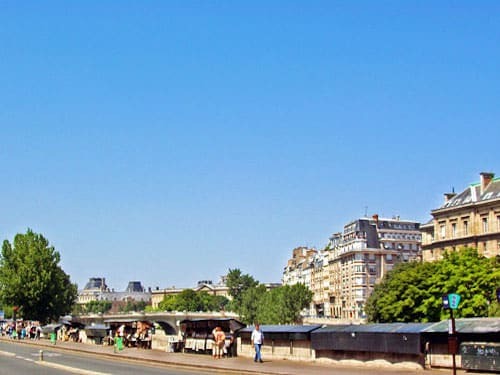 The Bouquinistes were granted the right to permanently attach their boxes to the parapets in 1891. 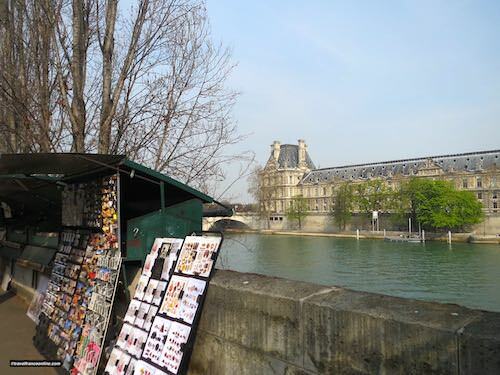 There are currently about 200 bouquinistes along the banks of the Seine. They have a unique statute; they are indeed the only traders allowed to sell on the pavement without paying tax! They all have a license, of course, granted by the City of Paris. However, they have to buy the four designated and specified size "vert wagon" green metal boxes (6ft long by 3ft wide) they are entitled to. The best spots are awarded on seniority. 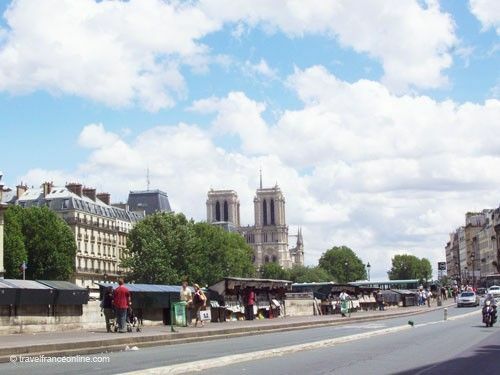 Bouquinistes pay rent (less than €100 per year) for the section of parapet on which their affix their boxes. They are also in charge of their maintenance, including the specified green paint. Finally, they also have the obligation to open at least 4 days per week. Most bouquinistes specialize and sell books and documents related to fashion, history, cinema and foreign writers… the list is endless. The appearance of television, then the wide spread of the Internet, endanger the trade. Indeed, fewer people read hard copies and enjoy holding a paperback or a rare publication! Many have forgotten, or even worse, have never known the comforting scent of old paper! Finding cheaper books is therefore essential for the bouquinistes if they want to earn a decent living. As times are becoming harder, they are now allowed to sell tourist gadgets to make ends meet. However, only one of their four boxes can be used for selling cheap tourist souvenirs; the other three must indeed be dedicated to the sale of books. Some believe that the trade could be on the decline. I'm not sure it's true, as the waiting list to become a bouquiniste is nearly eight years long!